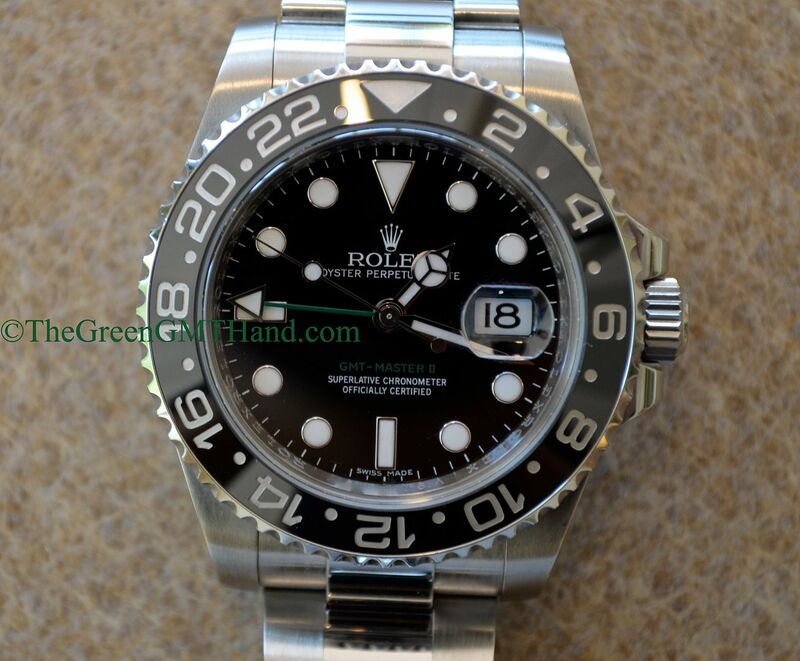 This V serial Rolex 116710 ceramic GMT Master II is the model that replaced the discontinued 16710 GMT Master II with aluminum bezel insert. 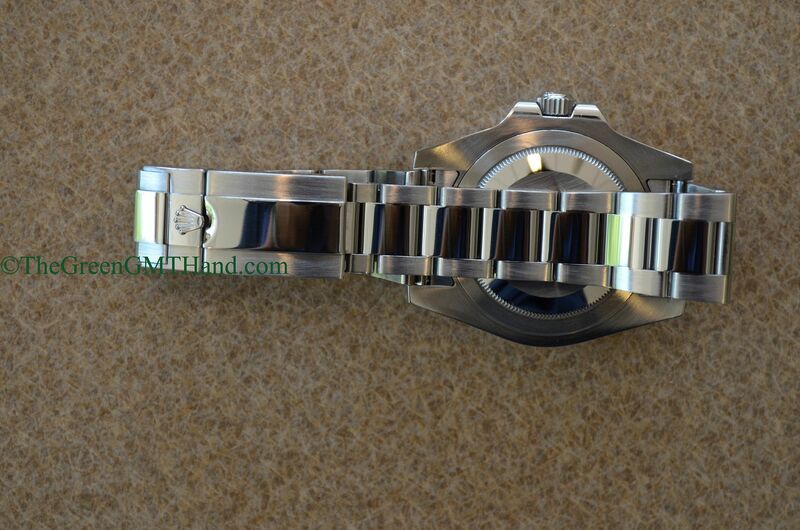 At 40mm, this new model is the same size in diameter. 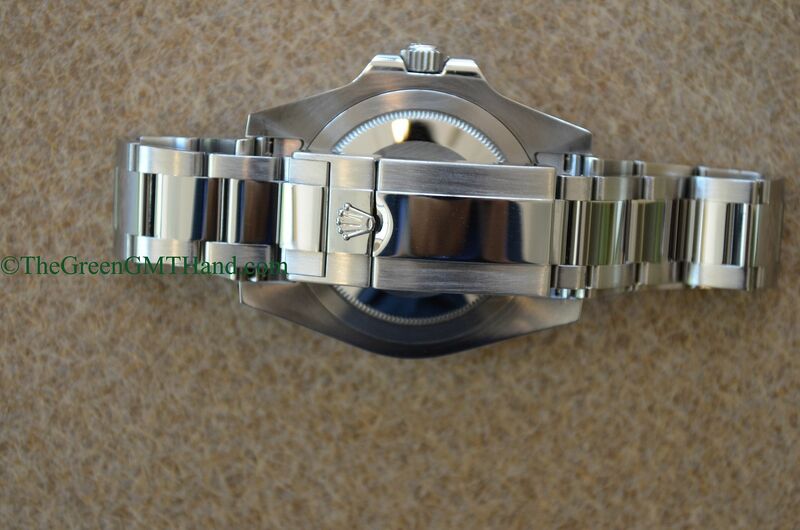 However, the beefier lugs and larger profile ceramic insert with platinum blasted markers cause this model to appear larger. 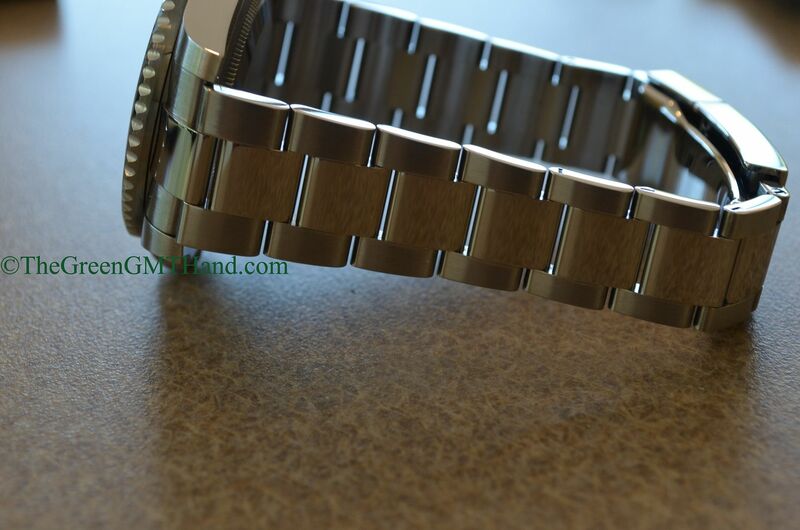 The 78200 bracelet has been upgraded with solid middle links and a new easy link system clasp that is noticeably heftier than the clasp of its predecessor. 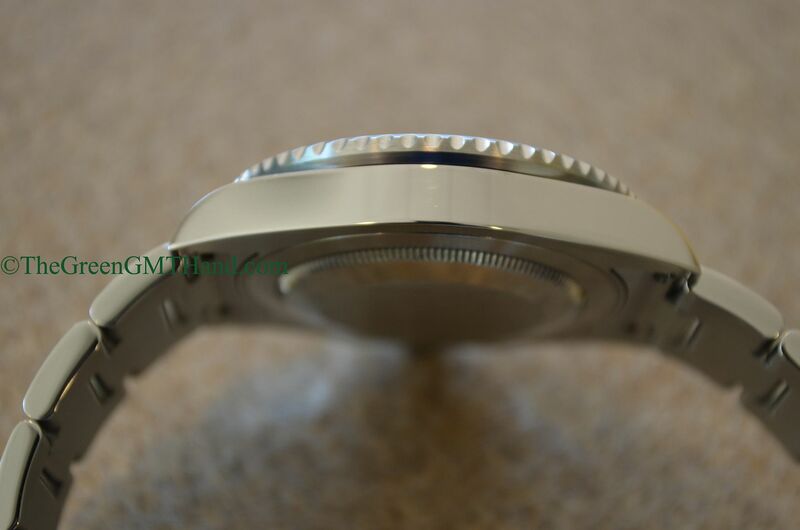 The 3186 movement with parachrom blue hairspring can be found inside the case. 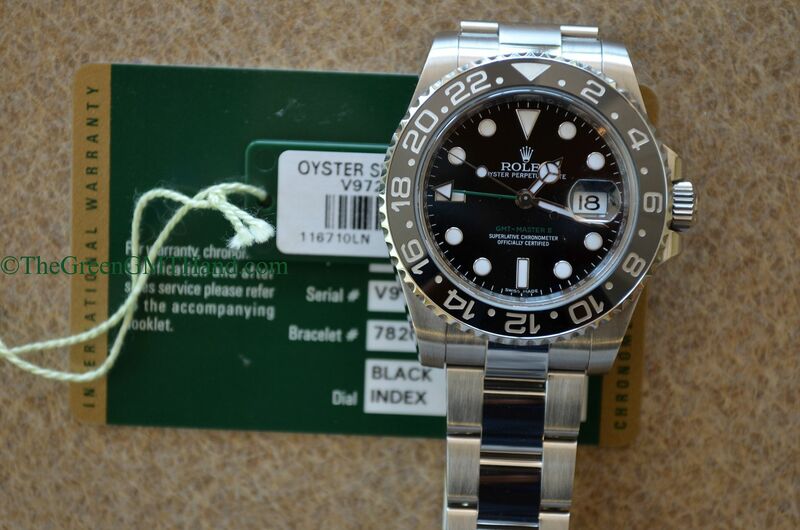 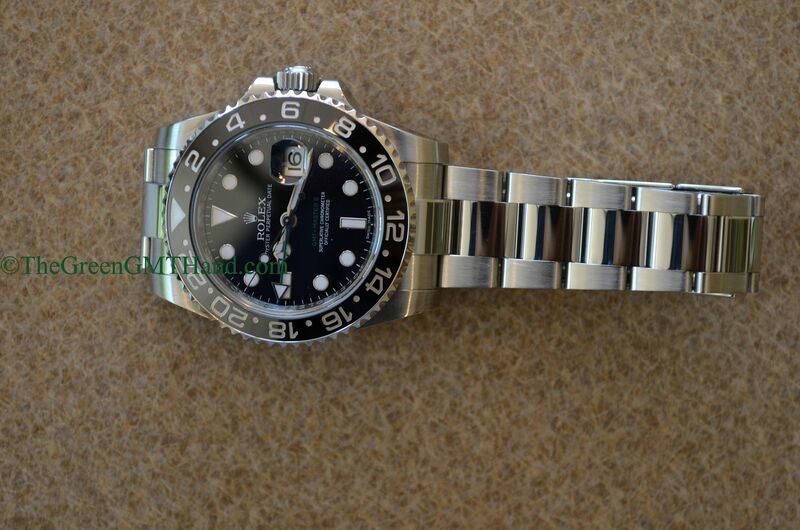 The red GMT hand found on the 16710 GMT Master II has been replaced with a green GMT hand on this 116710 model. 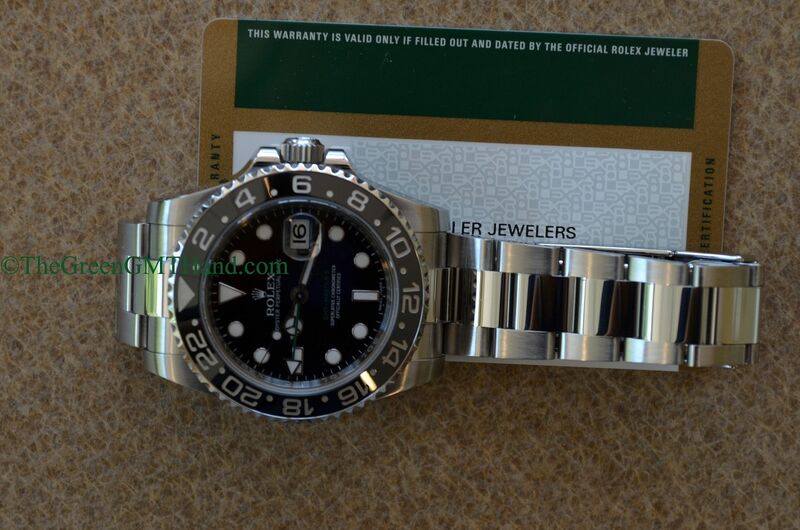 There is also now a BLNR model that has a bi color blue and black ceramic bezel. 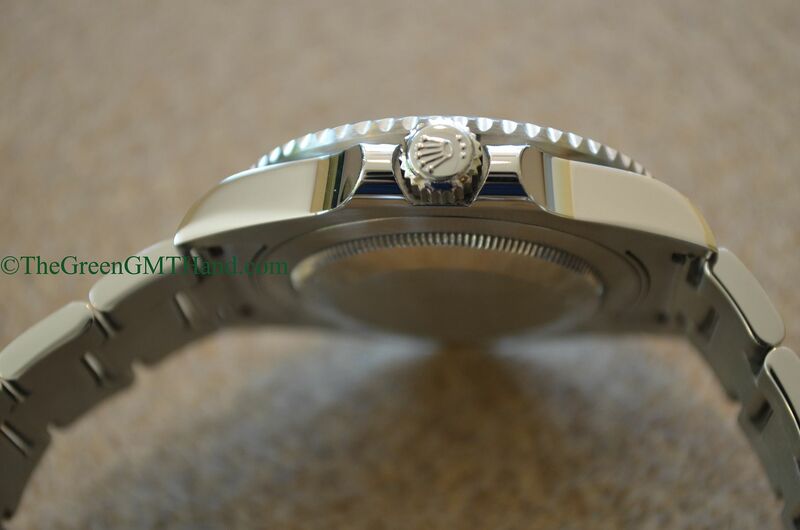 The dial is a maxi dial plus maxi white gold hands , although the lume material remained unchanged with green luminova. 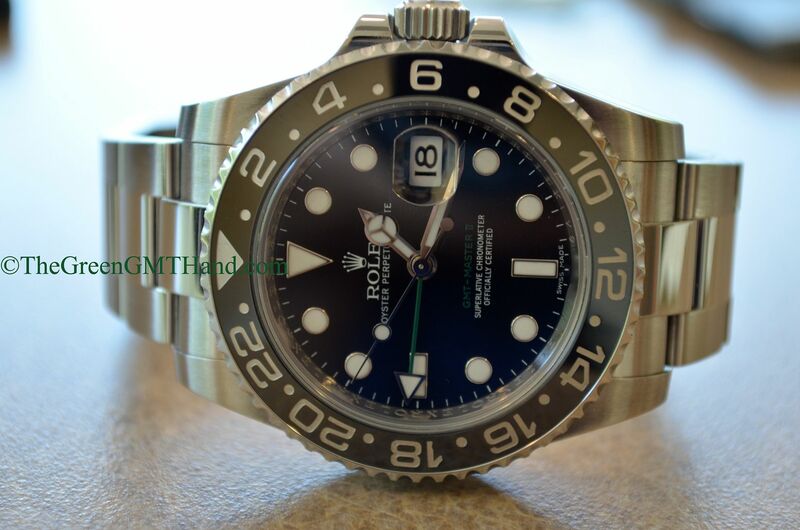 After the 2013 Baselworld show, Rolex updated the lume to blue chromalight, same as the material found in the Rolex 116610LV green dial Submariner. 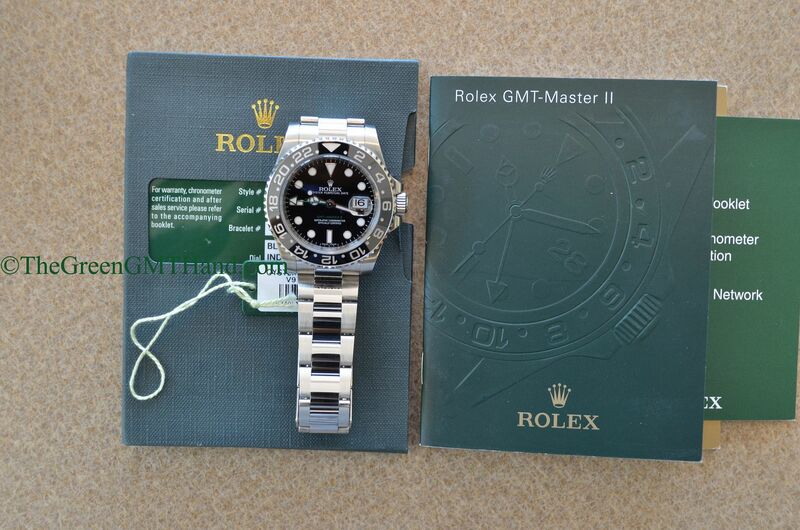 This particular watch was a complete set SOLD and delivered to our client. 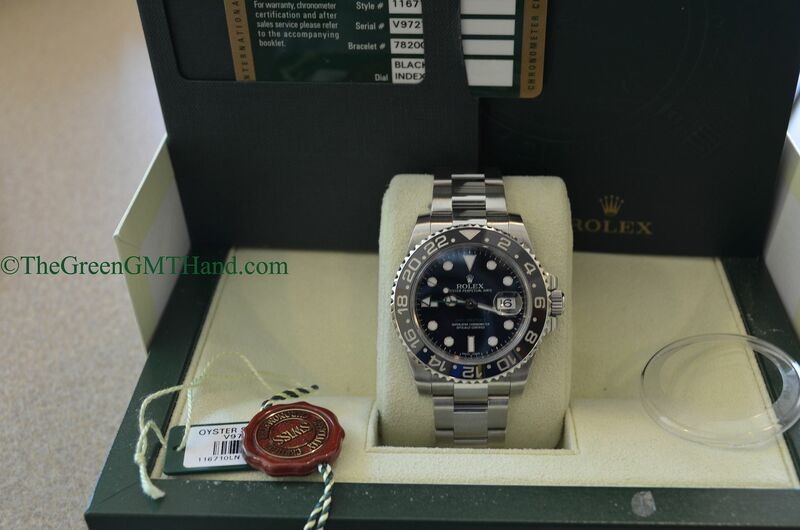 It included the original boxes, green serial number hang tag, red chronometer hang tag, warranty card, manuals, and the bezel protector.